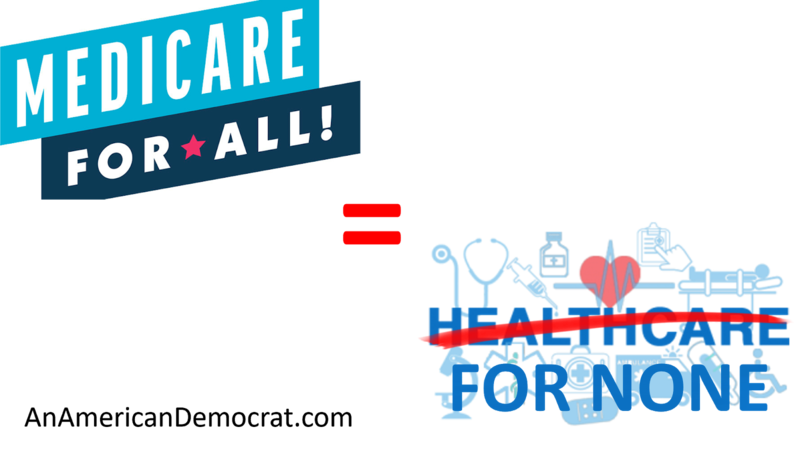 An American Democrat: Medicare for All = Health Care for None. Medicare for All = Health Care for None. 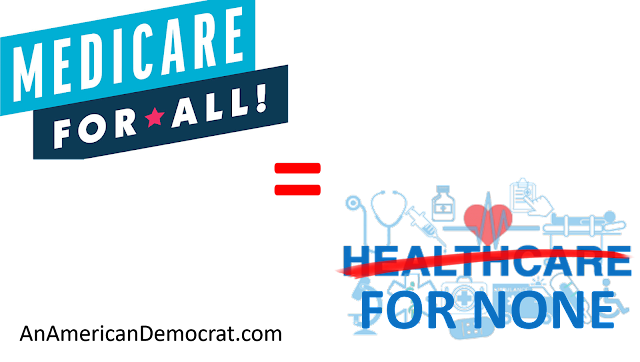 Universal health care A.K.A Medicare for all is a great idea. Any person with a conscience wants everyone who needs medical care to have it. Completely dismantling our health insurance system is not a solution. We need to have entegent healthcare for those who are in poverty. Those who want and afford health insurance should be left alone. Anything else is government intrusion. Paying for universal health care would cost more money that all the taxes we currently collect.